UMI eMAX is only 7.9mm thick, the claimed battery capacity is over 4000mAh. UMi have made a name for themselves with the UMI Zero. After that UMI created a fantastic PC tool called Rootjoy to support custom ROMs. While we are still wondering what would be the next, UMI just hit us with their Hammer. The toughest cookie UMI Hammer smartphone. 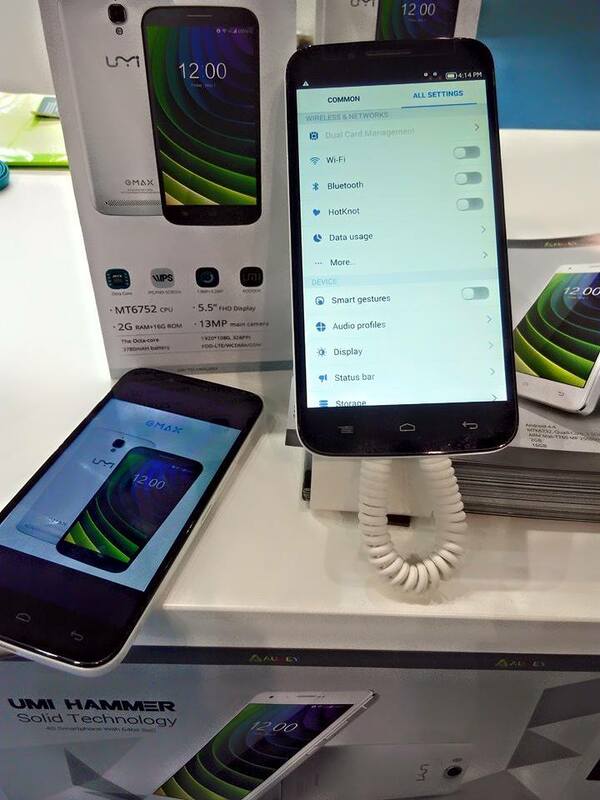 However, if anyone had been looking at images of the Hong Kong trade fairs that just finished, you might have seen images of a new UMI phone called eMAX. After communicated with UMI, UMI eMAX is designed with a 7.9mm thickness body with over 4000mAh capacity battery. This mean for a heavy smartphone user, the phone still can last 2-3 days long. If the eMAX specs are going to be real, then it would be the most outstanding smart phone, with similar specs as phones which only has 3000mAh battery. Currently there are no infos if the UMI eMAX also will support Rootjoy and custom ROMs, but let's hope so!